The Salem Red Sox announced today that tickets for the 2016 South Division Championship Series and the Mills Cup Championship Series are now on sale to the general public. The Red Sox are returning to the postseason for the first time since 2014, but will be hosting at least one game at LewisGale Field for the first time since winning the Mills Cup in 2013. By virtue of winning the first half, Salem is guaranteed to host games two and three (if necessary) of the South Division Championship Series. Game two is set to take place on Thursday, September 8 at 7:05 pm with game three of the best-of-three series occurring on Friday, September 9 at 7:05 pm. Should Salem advance out of the first round, the first two games of the Mills Cup Championship Series will take place at Salem Memorial Ballpark on Saturday, September 10 at 6:05 pm and Sunday, September 11 at 4:05 pm. Per Carolina League policy, the South Division Champion hosts the first two games of the championship series in even years with the final three games (if necessary) taking place at the site of the North Division Champion. Additionally, Salem could end up hosting as many as five playoff games if they were to also when the Second Half South Division Championship. If that were the case, game one of the South Division Championship Series would also be played in Salem on Wednesday, September 7 at 7:05 pm. A full schedule is listed below. Single-game tickets for all five potential home games will remain at the same price as single-game regular season tickets. General admission tickets are available for $8.00, while box seats are on sale for $10.00. The premium Strike Zone section tickets, which feature a padded seat plus in-house waitress service, are available for $12.00. A $2.00 charge is added for those purchasing on the day of the game. Additionally, fans can receive free playoff tickets by placing a $25.00 non-refundable deposit towards a 2017 season ticket plan. Group ticket plans are also available for all home playoff games. Regular season rain checks, vouchers, and flex tickets are not valid for the 2016 postseason. All rain checks, vouchers, and flex tickets must be used by the last regular season home game on Thursday, September 1. The Red Sox won the first half by virtue of compiling a 43-26 record, the best first-half record in Salem since 1974. This season marks Salem’s first first half division championship since 1988 and first division title overall since winning the second half in the 2013 championship season. 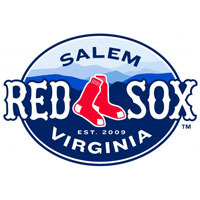 To purchase tickets, fans can visit salemsox.com, call 540-389-3333, or visit the Red Sox front office at 1004 Texas Street, Salem, VA 24153. ** NOTE: Salem can host game one of the South Division Championship Series should it win the second half as well.